When one mention Singapore, who doesn't know Chilli crab? This popular seafood dish had been around since 1956. 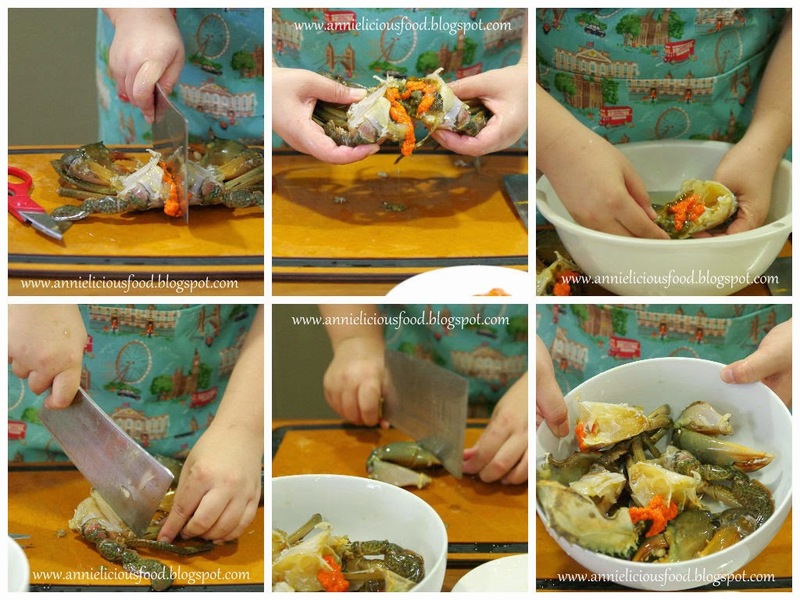 Fresh crabs stir-fried in a semi-thick. sweet, tangy, savory, tomato and chilli based sauce which will electrify your palate and satisfy your tastebuds. Arguably one of Singapore's greatest culinary inventions. If you are a fan of seafood, this is one dish that you must try while you're in Singapore. Don't get cheated by it's red and spicy look. Despite its name, chilli crab is NOT a very spicy dish. The spicy and tangy sauce is made deliciously fragrant with rempah (spices) and lime or calamansi juice, while corn starch and egg ribbons are added to give the chilli crab dish the fluffy texture at the end of the cooking process. For extra oomph, order some fried mantou to scoop up the thick gravy, which will leave you hankering for more. 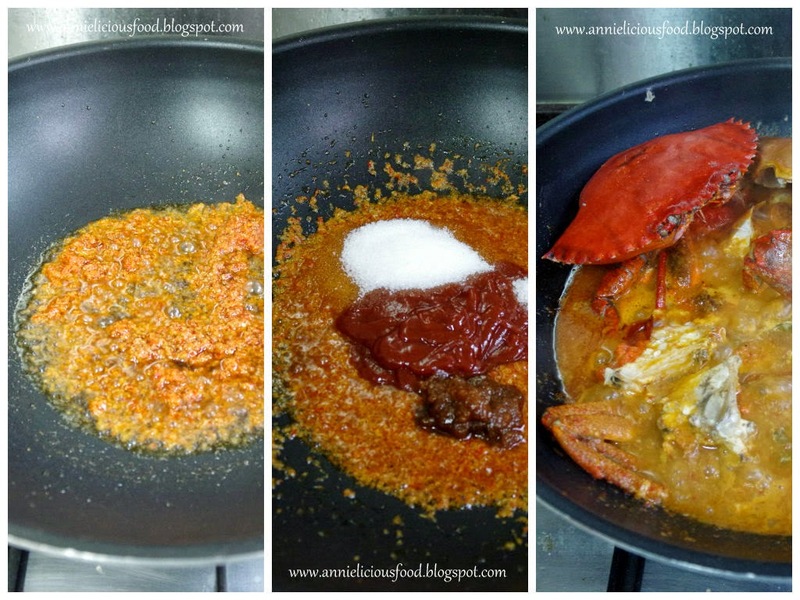 I adapted this recipe from Chef Master Classes on his World's BEST Singapore Chilli Crab Recipe, which he mentioned that his recipe is based on a food trip to Punggol Point, Singapore. I don't know how BEST this recipe would be. But by reading the recipe list, I think I wanna use this recipe as a reference. Also, Violet Oon is the brand ambassador of Singapore Food. So, her recipe as a guide will never go wrong I guess. Mantous (馒头) from the supermarket frozen section, thawed. To prepare the rempah : Put everything in the chopper and blitz away until fine texture is achieved. 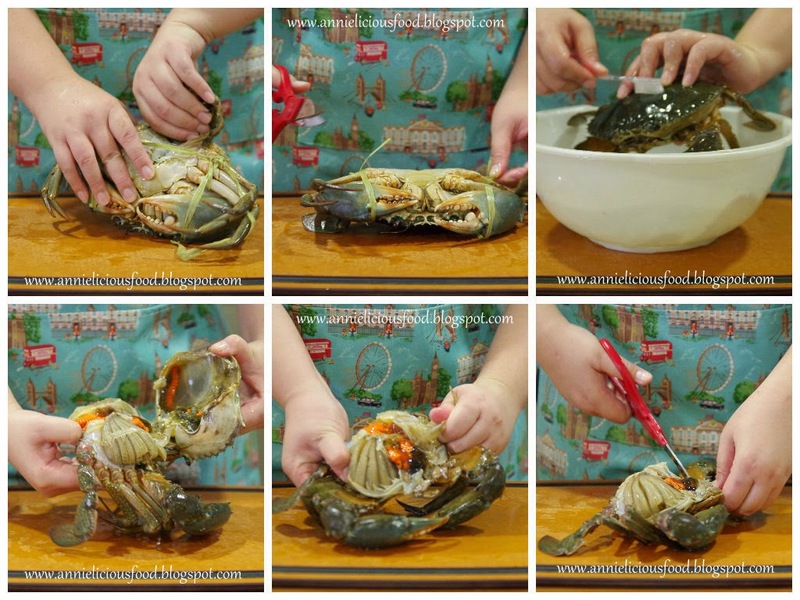 To prepare the crab, I'd posted How to clean crabs video last month. Or, below photos shows you roughly how it is cleaned and prepared. And preparing crabs is NOT as difficult as what you imagined. Be COURAGEOUS!!! Get everything ready before start cooking is the rule. Always remember. 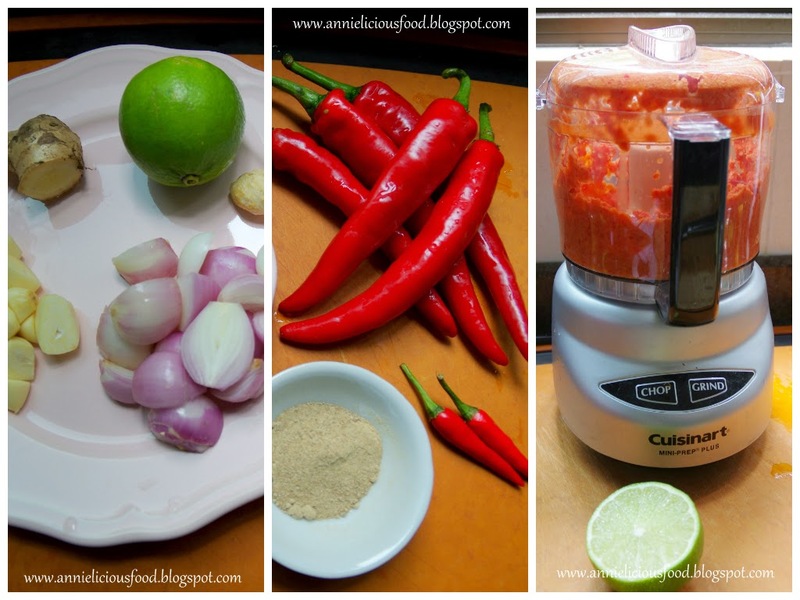 Cooking chilli crab is not difficult. But preparing needs time. Heat oil in a wok until very hot. Fry rempah until fragrant. Add tau cheo, sugar, salt and tomato ketchup. Stir well. Add in crabs, stir well. Then, add water, stir, cover until crab shells turned bright red, indicating that the crab is cooked. Heat off, dish up, garnish with coriander, spring onions and chillies. Serve with hot deep fried mantous. Max and I scarfed the whole plate of crabs down with all the mantous. It tastes so good with deep fried mantous and it is also good with a bowl of hot rice! Finger licking good! I could lick all the sauce dry! HI, when do you add in the cornflour? I tried your recipe today. Very close to the regular Chilli crabs you buy at restaurants outside. Thank you for sharing! Tried the recipe and it tasted good. Tastes similar to the ones you get outside.